US and Canada increased pressure on Beijing,requesting for the immediate release of two Canadians detained in retaliation for the arrest of a top Chinese tech executive on a US warrant. "We are deeply concerned by the arbitrary detention by Chinese authorities of two Canadians earlier this month and call for their immediate release," Canadian Foreign Minister Chrystia Freeland said in a statement. US State Department spokesman Robert Palladino also called for the two to be freed, while European Union High Representative for Foreign Affairs Federica Mogherini said through a spokesperson: "The EU supports the efforts of the Canadian government." 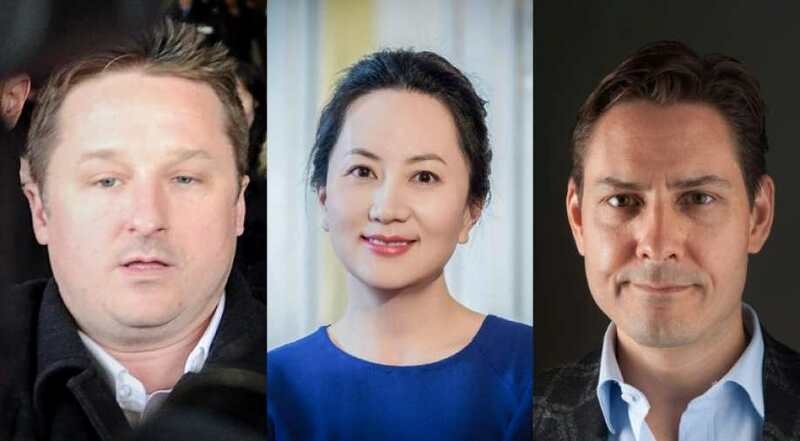 China detained former Canadian diplomat Michael Kovrig and China-based business consultant Michael Spavor on December 10, following Canada's arrest of Huawei chief financial officer Meng Wanzhou while she was changing planes in Vancouver on December 1. Meng was later released on bail pending the outcome of an extradition hearing. The United States -- which is locked in a trade war with Beijing -- has accused her of violating sanctions on Iran. She is now living under electronic surveillance in a luxury home in Vancouver, welcoming visitors daily and writing a blog, while Kovrig and Spavor have been held under more difficult conditions and denied access to lawyers. "Canada will not compromise nor politicize the rule of law and due process," Freeland said. 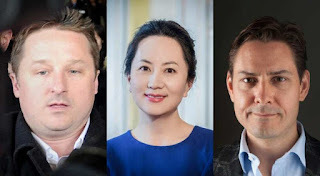 "Canada is conducting a fair, unbiased and transparent legal proceeding with respect to Meng Wanzhou," she said, adding that Canada "respects its international legal commitments, including by honoring its extradition treaty with the United States." EU High Representative Mogherini's spokeswoman Maja Kocijancic said China's declared motive for the arrest and detention of the Canadians "raises concerns about legitimate research and business practices in China." 'Harm to national security' = Kocijancic said the denial of access to lawyers also "is contrary to the right of defense." "The European Union calls on the Chinese authorities to answer these concerns," she said. The Canadians were arrested for what China has said is suspicion of "harm to national security" -- a phrase often used by Beijing when alleging espionage. Some analysts believe the arrests of Kovrig and Spavor -- who had arranged trips to North Korea, including for former NBA star Dennis Rodman -- were a means for Beijing to pressure Ottawa into releasing Meng. Former Canada's ambassador Guy saint-jaques said "In China, there is no coincidence and it is clear that their arrest, especially that of Mr Kovrig, was to send a message to the Canadian government." "The whole thing is a process where they try to apply the maximum psychological pressure but without resorting to brutality," he explained. Hugh Pope, a spokesman for Kovrig's employer, the International Crisis Group, a think tank that analyzes conflicts and geopolitical flashpoints, said Kovrig "must be tired and stressed." "Others in similar situations have described their condition of detention after having been released. They speak of intensive questioning, that the lights in their room aren't ever switched off, and so on," he said. "There is no reason to believe that it is otherwise for Michael. That is very worrying to us." Canada's ambassador to China, John McCallum, was able to meet Kovrig last Friday, officials in Ottawa said. A third Canadian citizen, identified as Sarah McIver, was arrested this week and accused of visa violations, the Chinese foreign ministry said.